Throughout human history gemstones have been valued and used for personal adornment and ritual practice. As well as being objects cherished for their intrinsic beauty, gemstones have been – and continue to be – valued as symbols of wealth and status. 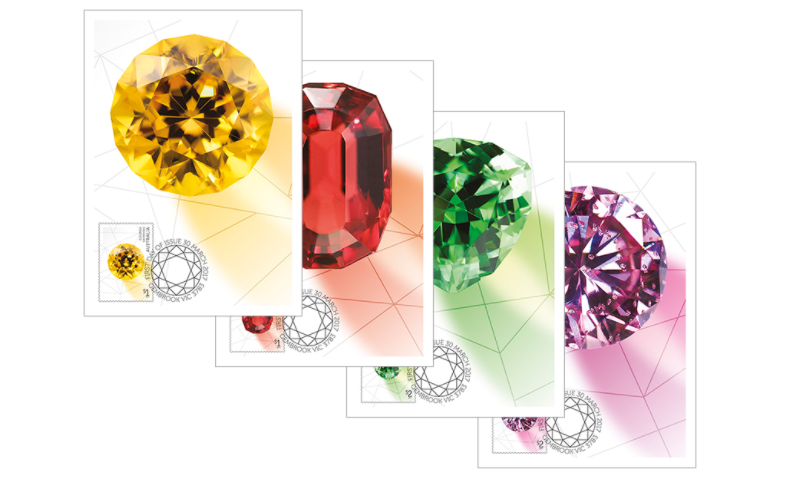 Over the ages, the cutting of gemstones has evolved from a limited practice into a complex art that uses sophisticated technology to reveal a mineral’s hidden beauty. To be transformed into gemstones, minerals must possess hardness (resistance to scratches and general wear), measured on the MOH’s scale; beauty, defined by colour, clarity, lustre; and rarity. Some arresting minerals that are too soft or fragile for wearing as jewellery are faceted into “collector stones”, in which the art of the expert cutter has overcome the constraints of the mineral to present the stones as aesthetic objects for collectors. 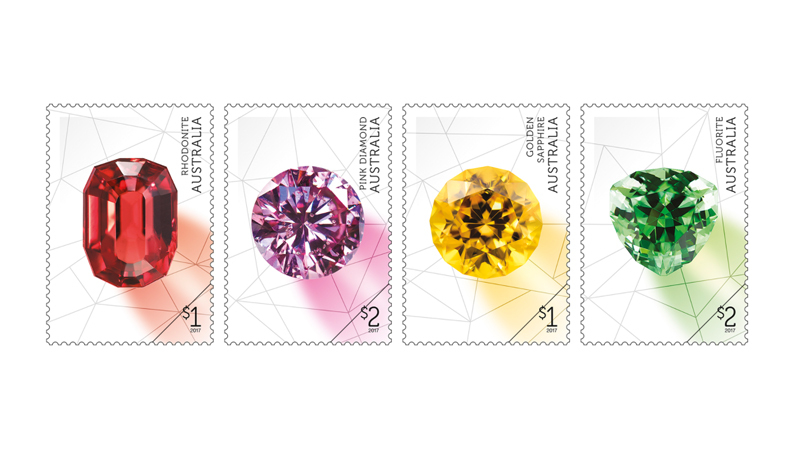 The gemstones shown in the stamp designs are in the collection of the Australian Museum, in Sydney. The golden sapphire and the pink diamond represent precious gemstones that are cut and polished as possible centrepieces for exquisite jewellery. 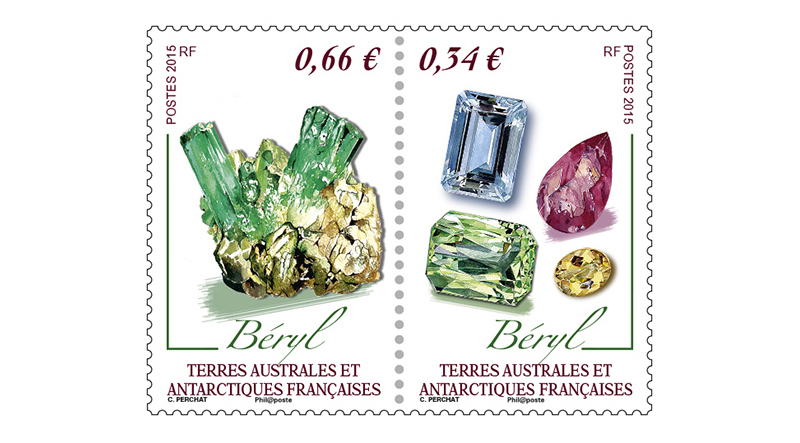 The rhodonite and the fluorite exemplify stones that are valued as collector stones, rarities transformed by lapidaries into singular specimens for the pleasure of gem specialists. 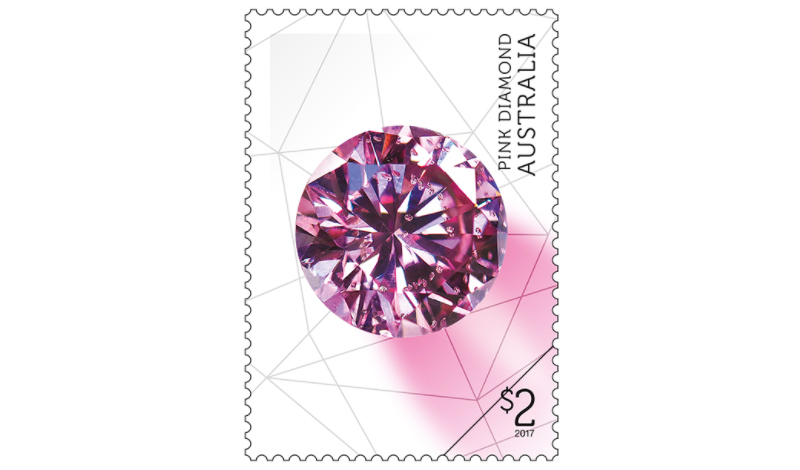 This stamp and medallion cover is highly collectable, featuring a pictorial envelope with the $2 Pink Diamond stamp from the Rare Beauties stamp issue and related medallion. 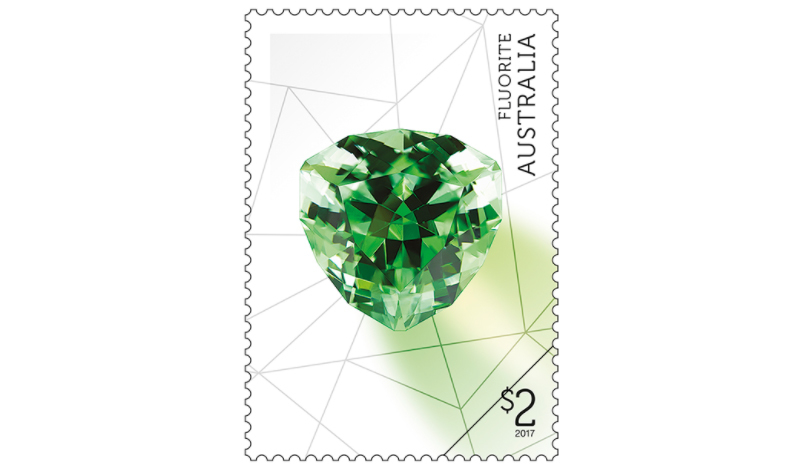 The stamp is postmarked - First day of issue | 30 March 2017 | Gembrook VIC 3783. Limited to 3,500. 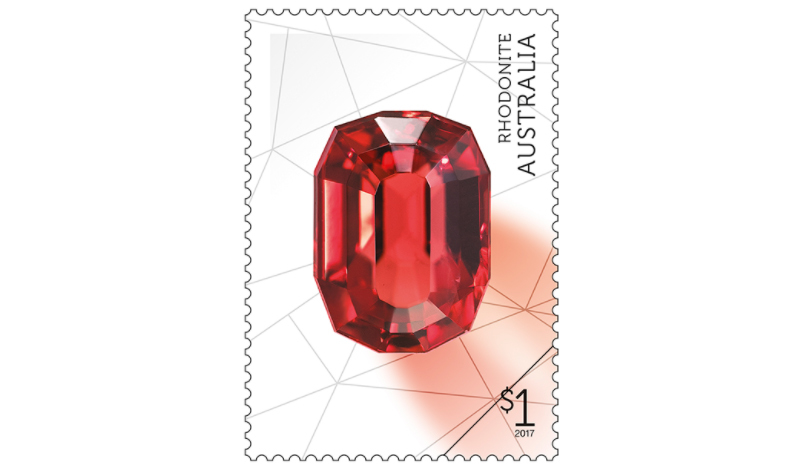 The stamp and coin cover is highly collectable, featuring a pictorial envelope with the $1 Rhodonite stamp from the Rare Beauties stamp issue and a coin from the Perth Mint. 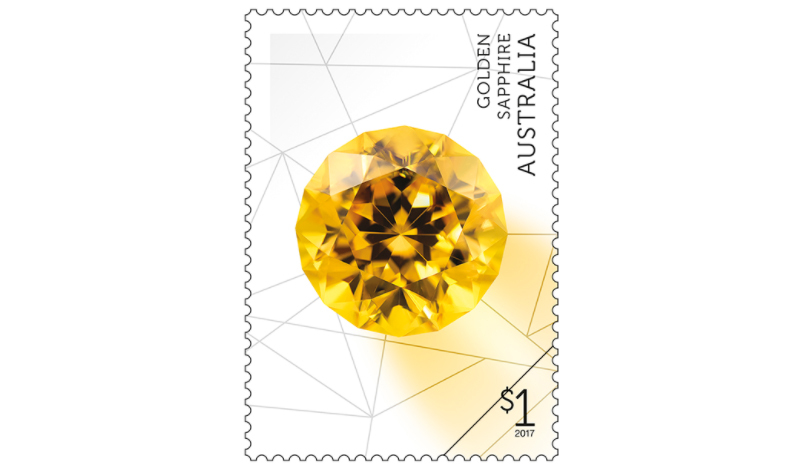 The stamp is postmarked - First day of issue | 30 March 2017 | Gembrook VIC 3783. PNC 2016 Issue 10, limited to 7,500.